Today, let’s look at Stephens Asset Management Group, which focuses on small- and mid-cap companies and aims to hold core growth stocks as well as ones that it expects will grow due to various internal or external catalysts. The outfit takes a bottom-up analysis approach and also factors behavioral finance into its thinking. Its chief investment officer is Ryan Crane. The company’s reportable stock portfolio totaled $1.5 billion in value as of March 31, 2013. The biggest new holdings are Abaxis Inc (NASDAQ:ABAX) and Trex Company, Inc. (NYSE:TREX). 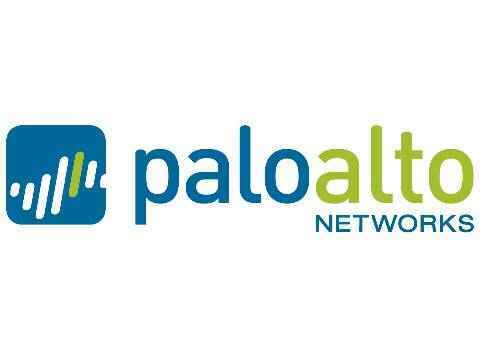 Other new holdings of interest include networking and security specialist Palo Alto Networks Inc (NYSE:PANW). Palo Alto has been growing rapidly, recently posting a 70% year-over-year gain in revenue, for example. It has been giving competitors such as Cisco Systems, Inc. (NASDAQ:CSCO) and Check Point Software Technologies Ltd. (NASDAQ:CHKP) a run for their money — so much so that some speculate a rival might just buy the company. It seems richly valued, but some are still tantalized. Among holdings in which Stephens increased its stake was Ruckus Wireless Inc (NYSE:RKUS), which went public late last year. It’s also battling bigger rivals such as Cisco in the Wi-Fi arena, but its last earnings report was solid and it has had some success in signing contracts. It’s tackling, among other markets, hotels and railroads. Stephens’ reduced its stake in lots of companies, including Allot Communications Ltd. (NASDAQ:ALLT). The stock has delivered average annual growth of 30% to shareholders over the past five years, but it’s down more than 50% over the past year. Part of the problem is Europe’s economic malaise. On the plus side, Allot did score a relatively big contract recently, and it’s well positioned to profit by hastening and managing Internet traffic. Finally, Stephens’ biggest closed positions included Insperity Inc (NYSE:NSP) and Stifel Financial Corp. (NYSE:SF). Other closed positions of interest include Smith & Wesson Holding Corporation (NASDAQ:SWHC) and Mellanox Technologies, Ltd. (NASDAQ:MLNX). You might think a gun maker such as Smith & Wesson would be a poor investment, given increased national hand-wringing over gun violence. You’d be wrong, though, as that hand-wringing has resulted in limited reforms. Indeed, fears of increased regulations have led to a surge in sales as some stock up. The company’s last earnings report featured revenue up 39% and earnings tripling.